The benefits of digital photography taken with a digital camera have progressed well beyond traditional film photography. There are still some professionals and purists who may not consider digital photography as an “upgrade” to shooting film negatives or positives; but, for the casual or amateur photographer, digital technology has already proven to be the best choice. As with any new technology, the digital camera still had a few bugs and problems when it was introduced. So did the automobile, telephone, television, computer and cell phone. Many music lovers thought the early CDs produced a “colder” sound or feel compared to vinyl (some still do). All those technologies quickly improved, however, and so has the digital camera. This PhotographyTalk.com article will explain a few of the reasons that the time has come for you to advance to a digital camera. To see the pictures you shot with your film camera, you must have the film processed and a print made of every frame, even if later you discard a number of them. That cost is essentially eliminated with a digital camera. Photos are collected as visual data in the camera, and can then be transferred to a computer or CD or DVD media. A digital camera uses tiny memory cards on which your photos are stored. Each card has room for thousands of photos. Rolls of film can only record 24 or 36 images (some only 12). You’d have to carry 30 rolls of 36-exposure film with you to be able to shoot 1,000 pictures. 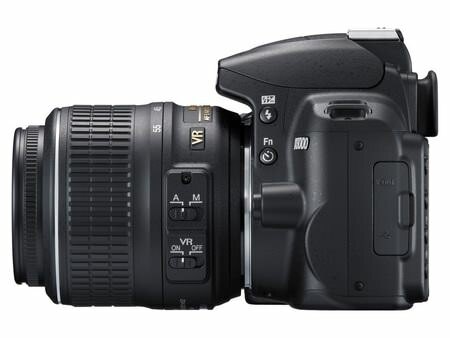 You must also change the way you think about photography when you upgrade to a digital camera. When you shoot with film, you are constantly checking to see how many exposures are remaining. This causes you to be very conservative when photographing your family, friends, vacations, pets, etc. Then, it takes some time to unload the old film and load the new film. All of that results in missing many of the pictures you wished you had taken. With a digital camera, you’re free to shoot as many pictures as you want during even the longest family event or vacation. Plus, you’re virtually guaranteed to capture more of those wonderful, spontaneous moments that you were missing using a film camera. No more waiting for processing to see your pictures. With a digital camera, you’re able to see them as soon as you shoot them. It’s not just that immediacy that is an advantage over film cameras. By viewing your digital photos in the camera, you’re also more likely to improve your photography skills. You’ll have the opportunity to recognize mistakes in composition, lighting, exposure, etc. quickly, so you can immediately re-shoot a better picture. That learning experience is also cumulative. You’re less likely to make those mistakes the next time, increasing the number of “winners” you shoot. Other than a few darkroom techniques, nothing in film photography compares to the advantage of photo-editing software. Many of them are inexpensive and easy-to-learn compared to equipping an above-average film darkroom and learning darkroom skills. Plus, photo-editing software is much faster, and there are no messy, smelly chemicals involved and spending hours in a dark room. With photo-editing software, you’ll quickly learn how to eliminate the red-eye effect, improve contrast, crop photos to create more interesting compositions and many other applications. Add a scanner and you can digitize all your film prints and make them look better too. Film negatives, positives (slides) and photo prints deteriorate in a short period of time compared to digital photos, which will last a thousand years or more. It will only become more difficult to buy film and have it processed, as the world becomes more digitized. More and more camera stores and photo shops will go completely digital, no longer offering equipment, supplies and support for film photography.